For lots of car owners cleaning car from exterior and interior fascia’s, filling fuel on time, checking the air pressure of tyres, applying few drops of scratch remover liquid over the external body making the car look fresh for years, is enough to maintain the mechanism of their car work properly to enjoy smooth drive from their car. But, interesting car maintenance is miles ahead of it and even doesn’t stand close to the tasks mentioned above, because they mainly pertain to cleaning of car and not the maintenance of car. What will you do if while returning back from office or returning back from long drive late night suddenly your car stops in the middle of road where it is difficult for you to even locate the mechanic to rectify the issue? At that time the only option left to you is to either wait for the road side assistance offered by the car dealer or to call any of your friend or relative and get your car towed from the place. On the other side if you had got your car serviced from time to time and had followed the car maintenance instructions accordingly then hopefully you would have not faced this type of trouble while returning back from your journey. Now you might object that once you had got your car serviced from the dealer on its determined time, why there is need to look after its maintenance? Although your question is logical, but sometimes due to hectic working schedule people forget to get their car serviced on time. Moreover, tragedy do not knocks your door before hitting you, and when it is related with the machinery you cannot predict anything about its performance. But there are certain precautions which could help to get yourself protected from any type unfortunate situation which might disturb your travel. It therefore is necessary to consider following factors, so as to avoid any type of unfortunate situation. 1. Checking the level of oil: Changing the engine oil from time to time after driving specified kilometers is helpful in enhancing the life your car’s engine to huge extent. Moving ahead if you drive the car below the determined level it might spoil the working efficiency of the engine. Therefore to enhance the life of engine, try to fill fresh oil in the engine and do not drive it below the specified level. 2. Grease the different components of your car: To enjoy flawless service of different parts and mechanisms of the car it is imperative to grease them from to time. Doing this will not only protect from getting rusted but also protect them from getting damaged and break while driving. 3. Apply wax on the external portion: If you do not have any shade at your place or at office to park your car, then after few years you will notice its color fading due to direct contact of sunlight. To protect the color of your car from fading it would be better to apply coat of wax over its body at regular intervals. 4. Protect the interior components of the car with plastic sheet: As the paint of your car fades because of sunlight similarly the interior parts also get affected due to ultra-violet rays of sun. To control the problem it will be better to cover the seats and other components of the interior portions with plastic sheet or apply the coat of ultra-violet sheet at the windows. 5. Change the brake and transmission oil: As the fresh engine oil enhances the working efficiency of the engine similarly regular changing to brake oil and transmission oil is helpful in enjoying seamless driving of the car. 6. Checking the bearings: It is a universal truth that due to regular wear and tear the machinery of your car depreciates and also the bearings installed at different points get loose and affect the drivability of the car. It is therefore imperative to replace the old bearing with the new ones and grease the existing bearings properly so that they do not break or damage the other part of car’s mechanism. 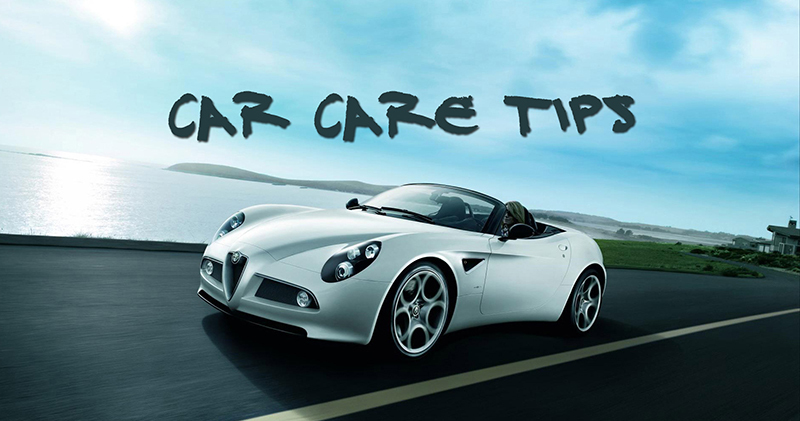 So, keeping these car care tips in concern will help you to avoid any type of unfortunate situation while you return back to your home happily after spending quality time with your family during the weekend.